Two Bunnies and an Easter Egg tree. 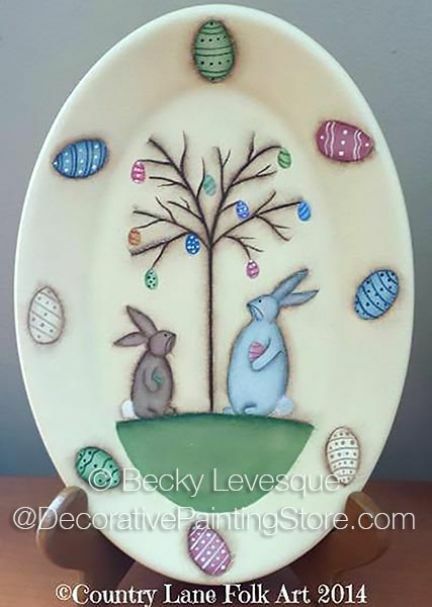 Becky has painted this design on an oval plate approx. 6"x10", but you can paint it on any surface of your choice. Pattern includes photo, supply list, line drawing, and step-by-step instructions.